This Bemis Round Closed Front Toilet Seat features a stylish moulded wood design for an attractive look in your bathroom. The non-tarnish metal hinge provides a unique retro accent for your bathroom. Bemis Manufacturing Company prides itself on continuing to bring innovation, value and environmentally friendly products to you. The stylish and secure chrome metal hinge is a great accent to bath hardware. It features the popular and innovative WhisperClose hinge that slowly and quietly closes, eliminating slamming. It is made from durable molded wood with a superior high-gloss finish that resists chipping and scratching with color-matched bumpers. Swash SE600 Bidet Toilet Seat-Round, White Join the Wash Don't Wipe Revolution with the Swash SE600 advanced bidet toilet seat. The Swash SE600 is packed with features at an affordable price. Made with the highest quality components and backed by Brondell's industry-leading customer service, the Swash SE600 bidet toilet seat easily installs on your existing toilet. The Swash SE600 bidet seat has all the features you need to create a personalized experience. Turn your toilet into a toilet of tomorrow today! Swash SE600 Bidet Toilet Seat-Round, White is rated 4.6 out of 5 by 28. Rated 5 out of 5 by Little from Wonderful! Wonderful! Rated 4 out of 5 by HomeDepotCustomer from works fine.... works fine. Rated 4 out of 5 by Mike62 from Easy to set up nice to use on both male... Easy to set up nice to use on both male and female. Overall pleased with unit. Rated 5 out of 5 by CJ from Very easy to assemble. You lose water temperature with 5 seconds left in the cycle, but overall e... Very easy to assemble. You lose water temperature with 5 seconds left in the cycle, but overall excellent. Rated 5 out of 5 by cruiserhitch from Great Product, easy to install. Great Product, easy to install. Rated 3 out of 5 by Sumio from Easy to install, works. Has one-button auto mode, 60 seconds... Easy to install, works. 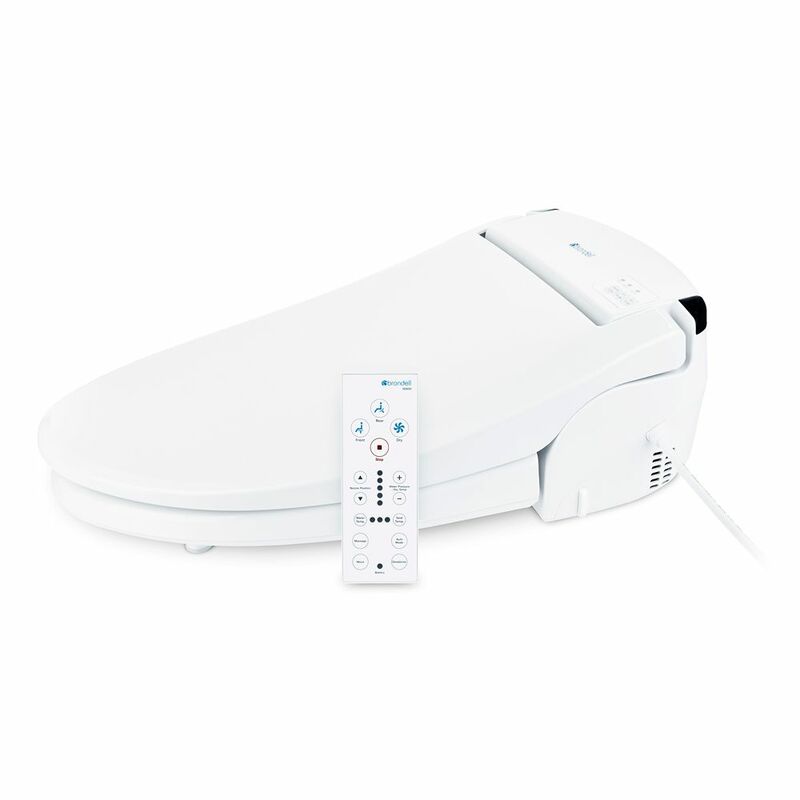 Has one-button auto mode, 60 seconds rear washing, then 60 seconds of warm blowing. It was surprising that there is only enough heated water for about 40 seconds, then it turns cold. It's ok, but if I lived in a colder place, that could be a problem.